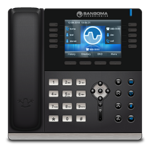 Designed for small and medium businesses PBXact Cloud delivers cost savings and ease of use through the use of VoIP and cloud based technology to allow you to take control of your telephone with a flat monthly fee for easy budgeting. 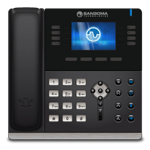 PBXact Cloud can be used by anyone to provide telephone service for their business. 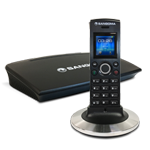 With easy setup, no telephony expertise is needed and as each extension comes with unlimited minutes the bill will be easy to understand and budget. PBXact gives businesses the power to take control of their telephony infrastructure. If your business requires new numbers PBXact Cloud allows them to be managed and routed easily. Using a cloud or hosted PBX saves money and is easier than you might think, and allows full control of all aspects of telephony. Whatever your business type or role within it, with PBXact Cloud quick configuration setup be up and running in minutes. 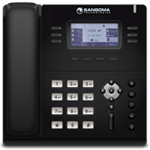 Create your PBX quickly and easily in minutes through the power of the cloud. With one monthly payment remove the hassle of maintaining onsite hardware and eliminate all the hidden fees. 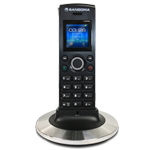 With outstanding support Sangoma is always here if you need a helping hand, see what we can do you for by clicking here. To be able to rent our phone, please apply to a plans that has phone rentals on it. Feel free to reach us to provide some feedback, give us suggestions, or to just say hello! You are requesting a reset of your password. Please enter your email address and click Request Password. A link will be sent to your email address which, when clicked, will allow you to reset your password. PBXact Cloud is an extremely feature rich solution that can be tailored to meet many business demands, remember using the cloud doesn’t mean that there is a compromise on features. PBXact has all the features you’d expect in a PBX; it just happens to be located away from your premise. PBXact Cloud gives you the freedom to select as few or as many numbers as you need. If you need one inbound number, also known as a DID, you can have all your customers call that number and then use an IVR (Interactive Voice Response) to allow callers to dial an extension or a business function like sales or support. Other businesses might require that everyone in the organisation has a public number that they can advertise, no problem it’s easy to associate an inbound number directly with an extension. The caller will be routed directly to the extension. Of course, it’s no problem to mix the two and have some users with DIDs and others accessible through an IVR. We all use the cloud today for whether we store our photos there or our business data, perhaps you use a cloud based CRM or store music in the cloud. The benefits of a cloud based service are easy to understand once you get started. No expensive onsite hardware, someone else worries about the technology and it’s accessible wherever you are and on whatever device is on hand. 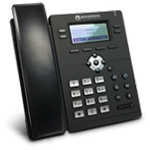 With PBXact all these same benefits can be brought to your telephony system as well. No PBX hardware. PBXact is a fully hosted system, we take care of all the hassle of the infrastructure maintenance so you don’t have to. Accessible. 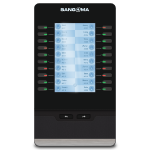 No matter where you are your PBX is always available. From deskphone, softphone, mobile or laptop. Reliability. Using the latest data centre technology together with rigourous back-ups and resiliency means that moving to the cloud reduces risk. Future Proof. Using a managed service in the cloud means that you are buying a future proof solution. We’ll take care of all the upgrades so that you benefit from features as they become available. Multi Site. For businesses with more than one site a single instance of PBXact Cloud can give you telephony service across all your sites with all users experiencing the same features from the same PBX. Fax. 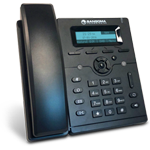 PBXact Cloud can deal with FAX calls as well and it’s easy to decide how to route them. Special Offer: Save $2/mo. per Full Extension on PBXact Cloud with the 1 Year Savings Plan. Billing will be monthly, with a 12 month commitment. At least 3 Full Extensions required. Early cancellation fee applies; please see Terms of Service. Special Offer: Save $5/mo. per Full Extension on PBXact Cloud with the 3 Year Savings Plan. Billing will be monthly, with a 36 month commitment. At least 3 Full Extensions required. Early cancellation fee applies; please see Terms of Service.